We LOVE these! Print out these cool character templates to make your own 3D card Guardians of the Galaxy. The Star Lord character has a removable mask and there’s also a Thanos character to make. I mean, come on, who wouldn’t want to make that cute 3D Rocket? Make your own Awesome Mix with these simple free printable. Use it as a cover for your own old school mix tape or make it into a Guardians of the Galaxy themed gift box. All you need is some scissors and double sided tape. Check out the recipe for these Groot cookies by Just Jenn Recipes. A hint of cinnamon and some chocolate bark, tasty and cute! The cookie is cut free-hand and is super easy for bakers of all ages. Design your own bead versions of the popualr characters from the movie. 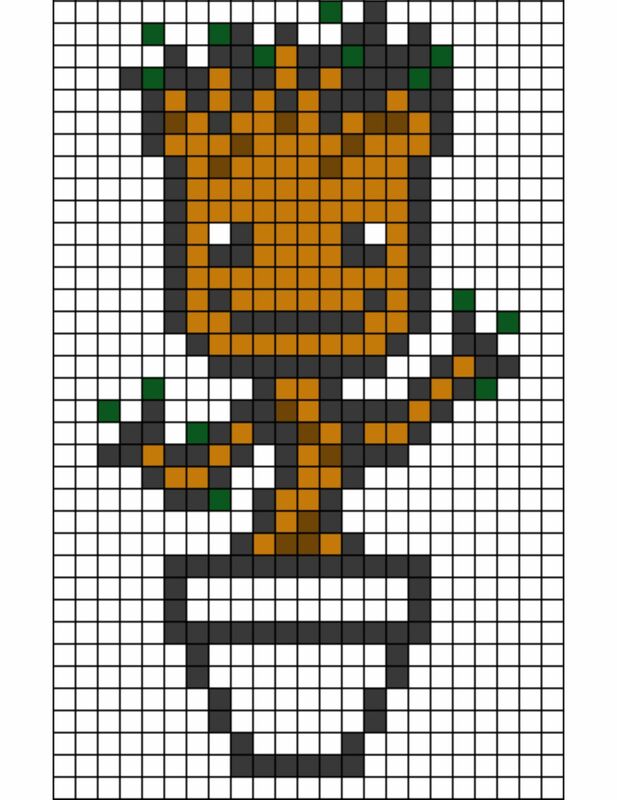 We’ve found cool patterns for Groot, Star Lord / Peter Quill and Rocket but there’s plenty more around on Pinterest and Google. This cool mix tape cake is the perfect centrepiece for a Guardians of the Galaxy party. Check out The Chic Site’s simple step by step on making it. We know we’re a bit biased but we love this idea. Make your own planets with glass baubles and paints. You can make them into place names, hang them on the Christmas Tree or use them as room decorations. Check out this little one’s cute Baby Groot costume by Reddit user S7ar-lord. It’s even cuter than Baby Groot himself!